This is a question I am asked on a regular basis, and of course there are many different options. 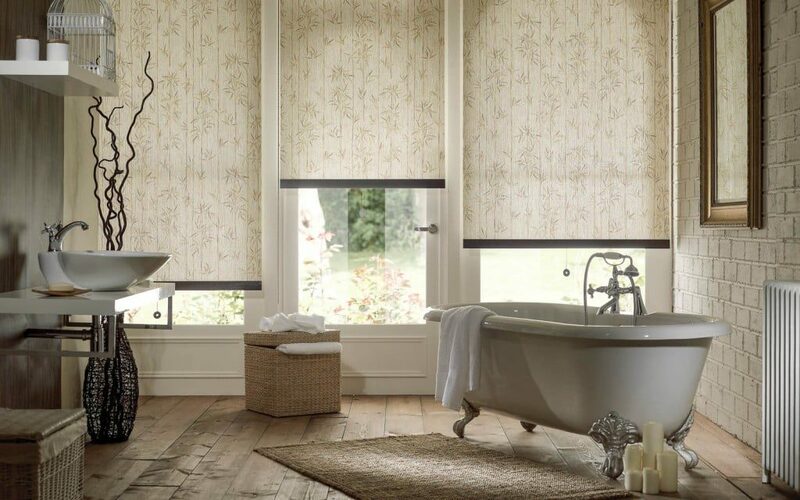 Kitchens often don’t have a focal point, so using a bold decorative blind at the window can really transform the room. This can give the area a new lease of life without the expense of changing the kitchen. 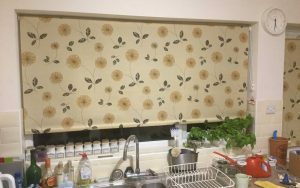 A blind which is easy to keep clean is the best idea in the kitchen. So a wipeable Roller blind is a great, cost effective solution. Some fabrics are impregnated with a chemical which helps prevent cooking smells from clinging to the fabric. These blinds stay fresh and free from smells and are available in a wide choice of colours and patterns. 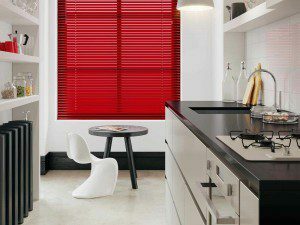 Many people like venetian blinds which allow privacy as well as letting some light in. Aluminium venetian blinds are the most cost effective of all the venetian blinds and come in a wide variety of colours. Be warned though, they can be a little difficult to keep clean due to the size of the slats. Another popular blind for the kitchen is a Wooden Venetian, or, if you are concerned about moisture, a Faux Wood Venetian (this is made of a Poly Vinyl, so you can be assured it will not Warp). 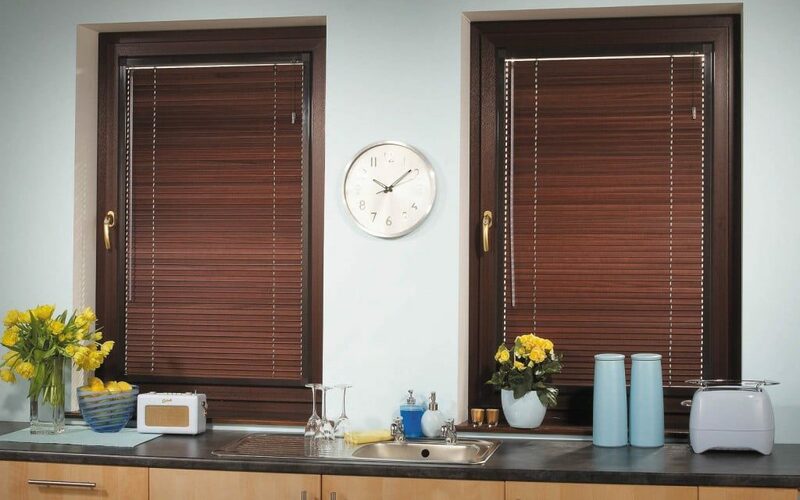 Wood and Faux Wood Venetian blinds also come in a variety of painted colours and stains, so can also be used to make a statement in the kitchen. 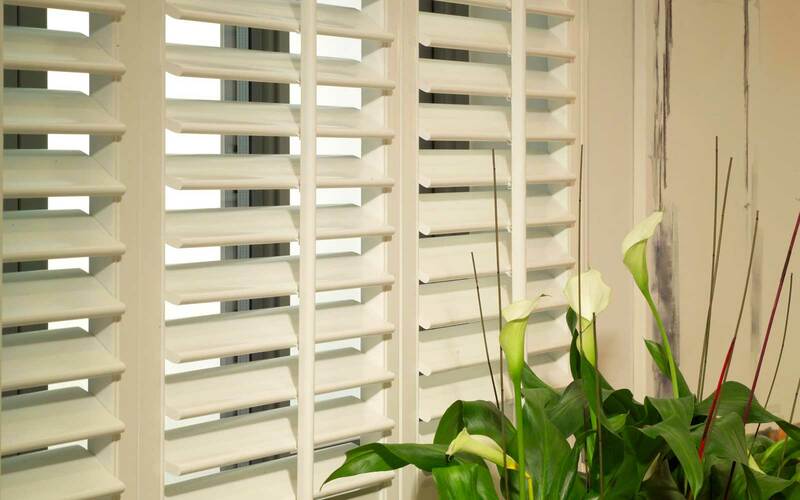 Shutters are becoming one of the most popular window covering solutions. These can used to great effect in kitchens, again allowing Privacy and light. Shutters really easy to keep clean as the strong slats can be wiped with a damp cloth. 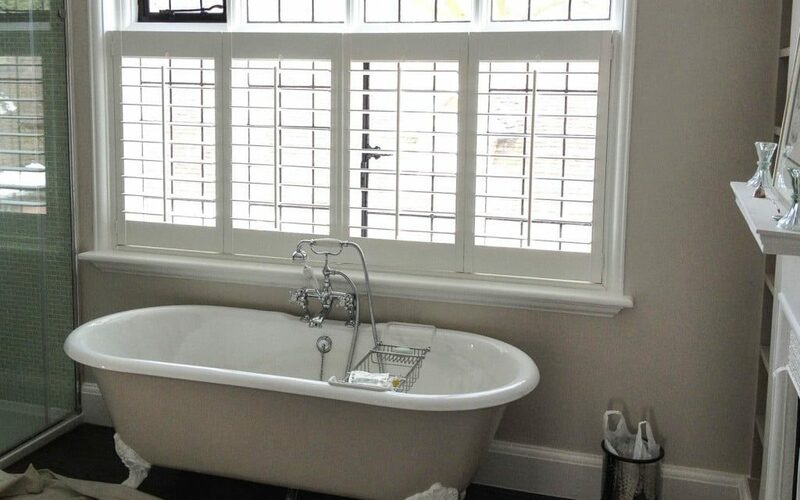 Shutters are available in a range of neutral colours, or, if you are feeling brave, you can have them painted in pretty much any colour you want! There are, obviously, other blinds you can use and if you would like any further advice you can always book a consultation with one of our expert advisors. Soft Pastels are the colours of the moment, whether in clothing or home decor. But how can you put together soft pastel colours without ending up with a sugary, syrupy over sweet look? The answer is to blend using deep greys or primary colours as contrast to the soft pastel shades. 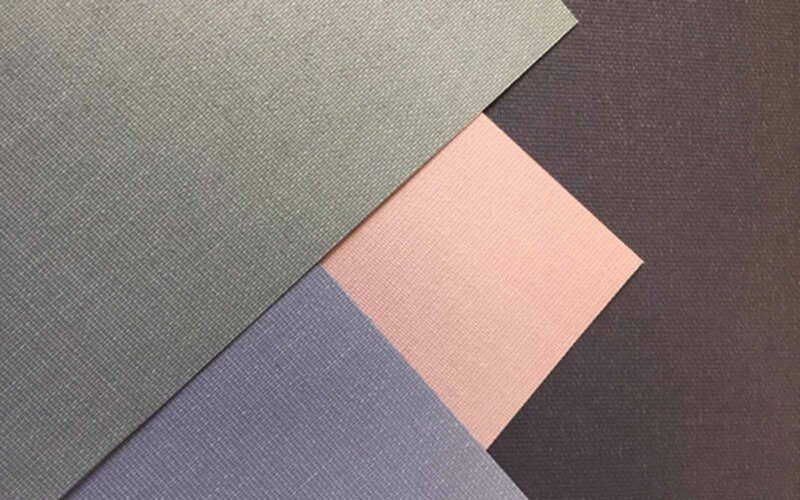 If, for instance your walls are a pale pink, then a Dark Grey Roller, Roman or indeed a Grey painted Wood Venetian blind will lend a sophisticated finish to your room, and has the added advantage of blending with multiple colours, should you wish to redecorate your room. 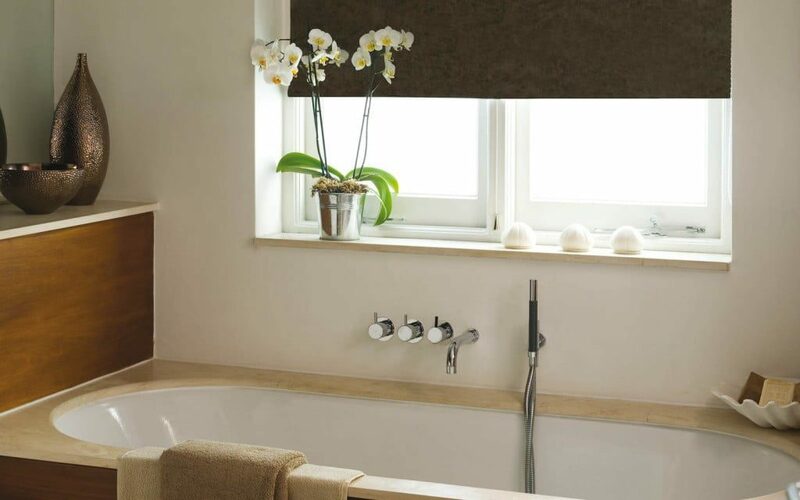 A pale pistachio green roller blind goes very well in a grey and black tiled bathroom. 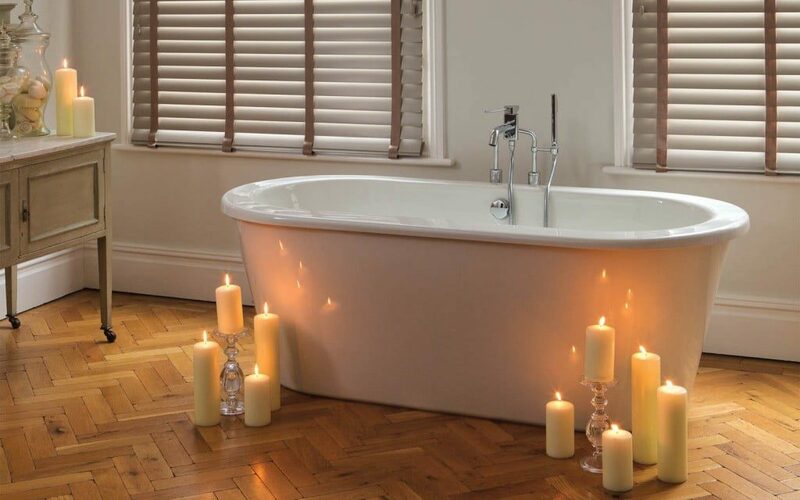 Green is a very calming colour so will be ideal when relaxing in the bath, just remember to make sure the fabric is moisture resistant!